The first day of school is approaching and we want to ensure that you and your children are prepared. The list of resources below will guide parents and students in the right direction. If you will be transferring from another school district, private, or home school for the upcoming school year, registration is required for students entering grades Kindergarten - 12th grade. Our online “New Student Registration” system may be accessed by clicking here or the link(s) below. 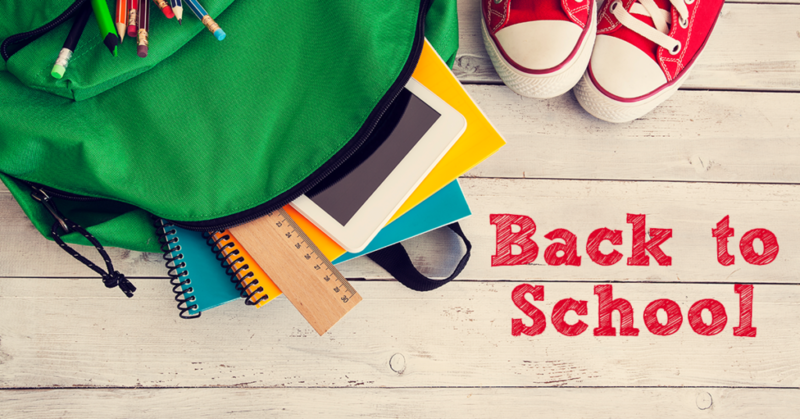 Click on the link(s) below to view/download school supply lists, but be sure to check with your child's teachers during Open House for additional supply lists. Click here to view/download the 2018-19 Academic Calendar for important dates like progress/grade reports and holidays. Assessment/Testing Schedules will be posted accordingly. Elementary, middle, & high school students will ride separate buses, no exceptions. It is important to review our uniform policy to make sure that your child's attire is in compliance with our standards. -Bottom: Pants, shorts, skirts, and skorts may be Khaki or Dark Blue. No cargo pants or shorts. All shorts, skorts, and dresses must be the appropriate length. -Top: Pre-K through 5th grades must wear a white or any shade of blue, polo or collared. -Bottom: Pants and shorts may be Khaki or Dark Blue. No cargo pants or shorts. -Bottom: Khaki (tan) or dark blue shorts, skorts, skirts, pants, or dresses. All shorts, skorts, and dresses must be the appropriate length. Top: red, gray or orange tops with a collar and sleeves. Bottom: khaki or black pants, skirts, shorts or jumpers. Skirts, jumpers, and shorts must be no higher than 2 ½ inches above the knee joint in the back. Top: red, gray or orange tops with a collar and sleeves. Shirts must be tucked in. Bottom: khaki or black pants or shorts. No jeans or cargo pants allowed. Pants must be worn at the waist.